Vosa Maritina is from an informal settlement called Kalekana Community, which is on the outskirts Fiji’s capital city. No bus goes through this area as it sits atop a steep hill, which makes it hard for children to go to school and access basic health services. 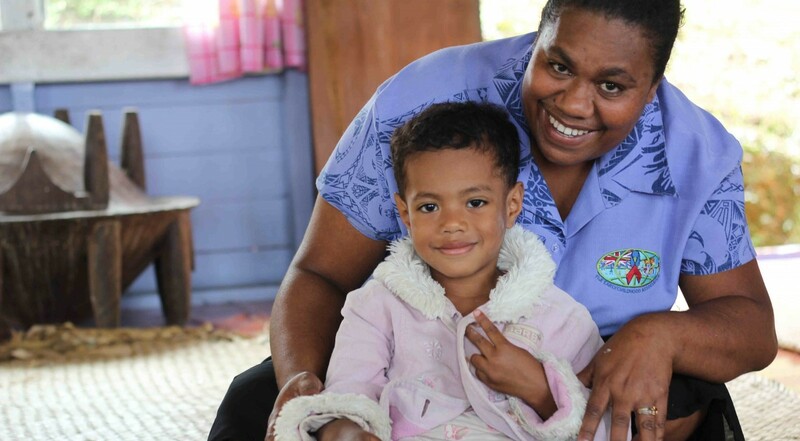 This led Vosa and the Kalekana Community to get together in 2008 to establish an early childhood centre (preschool) and after running for a few years Safe the Children Fiji came on board to help support them under the Vuli Taumada Shisak (VTS) education programme. The community now has a thriving kindergarten, 2 qualified teachers and Vosa is currently completing her Early Childhood Teaching qualifications. In 2013 alone, 28 children graduated from this centre and have now gone on to become aspiring young students in primary school. This is a credit to Vosa, her team and the entire community of Kalekana Kindergarten. Note: The Vuli Taumada Shishak Programme (VTS) provided teacher training, teacher accreditation with the Ministry of Education. It is funded by the Ministry of Foreign Affairs and Trade (MFAT) New Zealand and supported by Save the Children New Zealand.